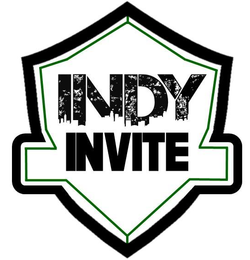 Our goal with this event is to showcase the best of Indiana with and against the best in the Midwest. In state teams will receive priority when submitting a bid for either event, with the remaining spots being offered out to our Midwest neighbors. We intend to draw teams from Ohio, Illinois, Michigan, Wisconsin, and Missouri. The location of the Indiana Invite will be World Sports Park, the IUF's primary event location, with beautiful, world class fields. Because of these extremely high quality fields and our relationship with the fields, we are confident in saying there is virtually no chance of cancellation, in an otherwise occasionally unpredictable enviroment for Midwest field sites. Each event will play host to 12 men's/boy's teams and 8 women's/girls teams. The entry fee is $300 for HS & $350 for College, and a $100 deposit is required by February 1st in order to secure your teams registration. The IUF is pleased to be the annual host of a CDP Coaching Clinic each Fall, alternating between the level one and level two each year. 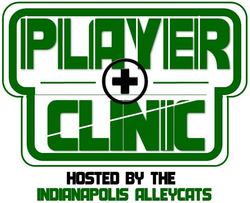 This year, the Fall of 2015, we will be hosting the level 2 clinic. For information on each level, and this years specific event, please see below. The USA Ultimate Coaching Development Program, presented by Five Ultimate, is a process of educating coaches, professionalizing and growing the discipline of coaching, and creating a pool of qualified volunteers to help grow Ultimate. The Level I program consists of two workshops where coaches will learn skills and techniques to: introduce Ultimate and its skills to new players; manage effective practices; teach and maintain Spirit of the Game; interact with and utilize parents; improve the fitness of their team; maintain high professional coaching standards; and behave both ethically and legally while coaching. This clinic takes place over one day. Over 2005 and 2006 the USA Ultimate developed a Level II Coaching Workshop to help coaches bring their teams to the next level by teaching advanced strategies and tactics. These two day workshops cover many strategies and techniques of top level teams. We are hosting a level TWO coaching clinic this Fall (2015). This is a two day event.